Rapper Dok2 got in a robbery accident. 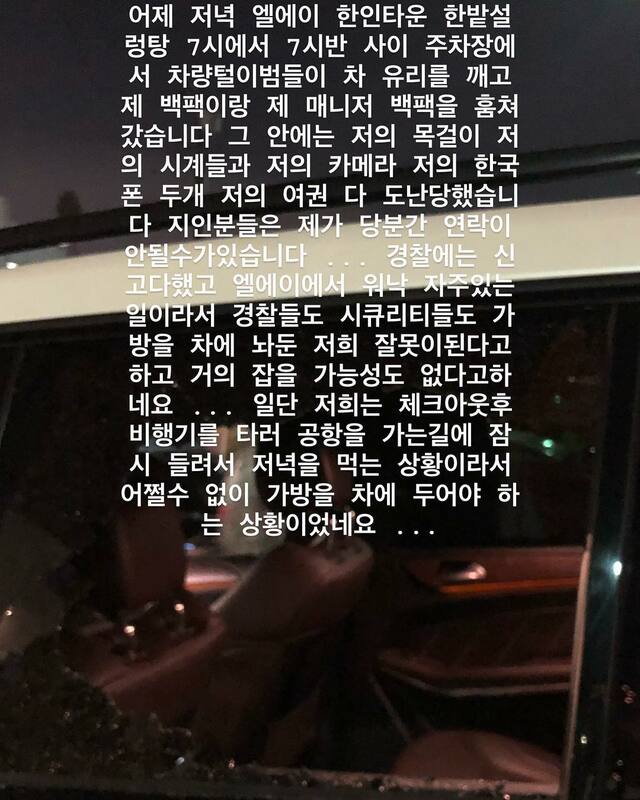 On November 5th, Dok2 wrote on his Instagram: “Last night between 7 PM and 7:30 PM, some thefts stole my backpack and my manager’s from our car, which was located at the parking lot of LA Koreatown’s Hanbat Sullungtang restaurant”. Dok2 also posted photos and videos of their robbed car. Dok2 also mentioned that he has reported the case to the police. However, he said, “because such accident is so common in LA, the police and security officers are all saying it would be impossible to catch the thefts and it is also our fault that we left our bags in the car. We were just stopping by to grab some dinner before going to the airport to make our flight, so we had to leave our bags in the car”.